Most of you are already aware of this, but I'm a worship leader and songwriter and LOVE the process of recording music. While it's true that I've been called to a very public ministry, I secretly long for the day when writing and recording is ALL I do. Anyway, my latest project was released a few months ago, titled "Hope." If you're a fan of traditional hymns put into an acoustic guitar-driven/contemporary setting, then you should check it out. 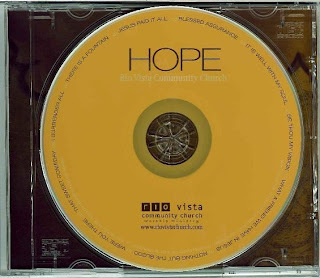 The CD is available on Amazon.com (just search "Ryan Brasington"), or you can copy/paste this link (http://www.xfide.com/), then click on the "Emerging and Reforming" banner, and then the CD should be on page 2. Feel free to ask if you have any trouble finding it.